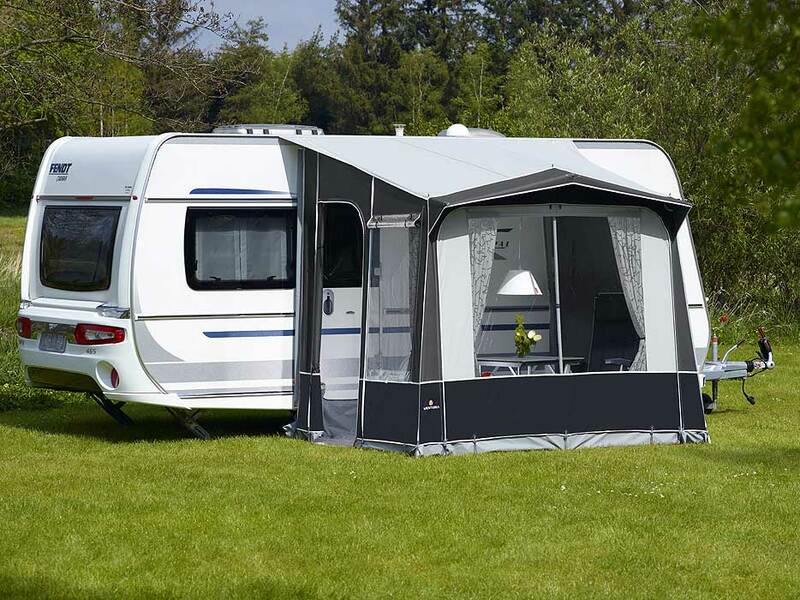 The Ventura Cadet porch awning will fit caravans with a height between 235cm and 250cm - which in truth covers most if not all caravans. It has a depth of 2.0 metres and a width of 2.6 metres. 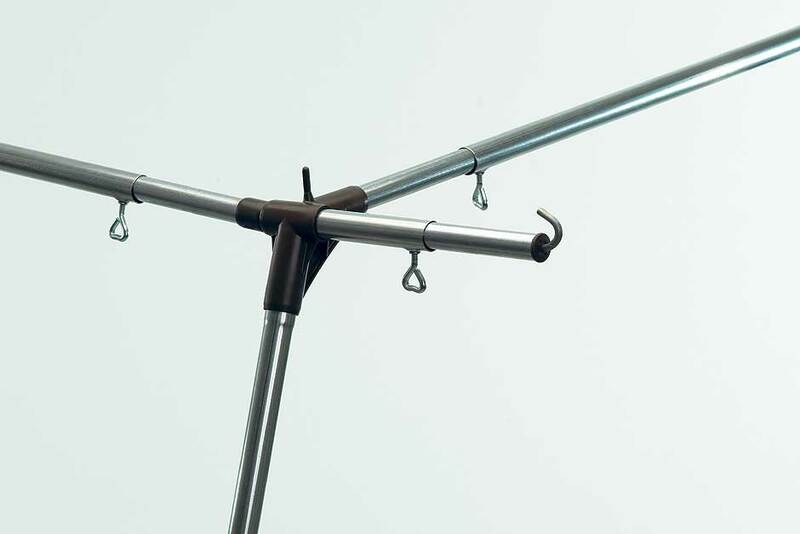 The Cadet has been designed to be convenient and has that 'perfect for the weekend' feel to it. The lightweight IXL fibreglass frame makes it easy to put up and convenient to carry and transport whilst the acrylic material Ventura call Acryl is breathable and helps to maintain a sensible climate inside the porch. 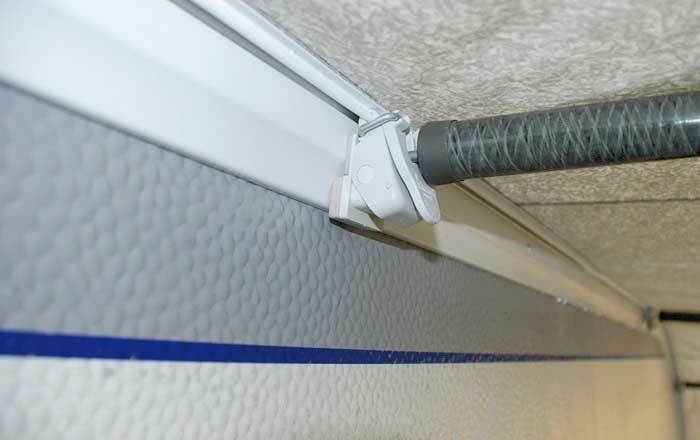 Thanks to the provision of sewn-in pads, support poles and connection profiles the Cadet forms an excellent seal to the caravan and this of course reduces unwanted draughts and leaks. These are included as standard. There are two doors - one on either side, which can be very handy if there is a prevailing wind. 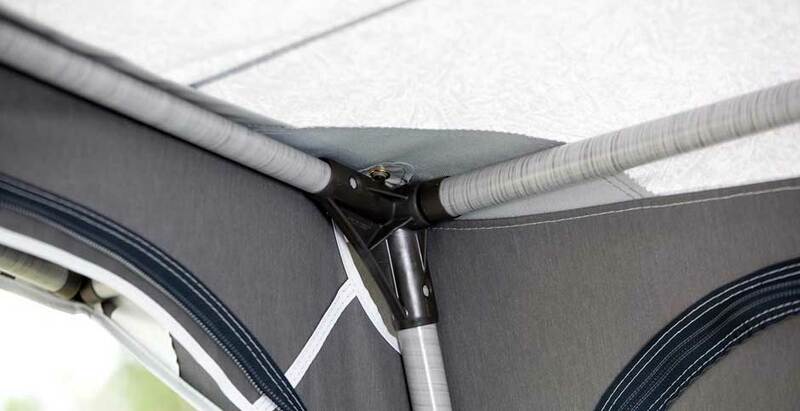 The large front panel can either be folded down or removed completely. The side window is provided with a mosquito net so that you can open it for ventilation without letting in those annoying insects. The Ventura Cadet comes with a number of items as standard which include, screw-free FixOn Multi fittings, a set of curtains, a draught skirt, a standard wheel arch cover, an awning bag and a pole and peg bag.